With some of the most incredible views found on the Macaneta Peninsula Cova de Tubarao is a highlight of this beautiful beach. Sip cocktails from our bar from either our enclosed pool area, or from this magestic lookout point you can see here on the left. 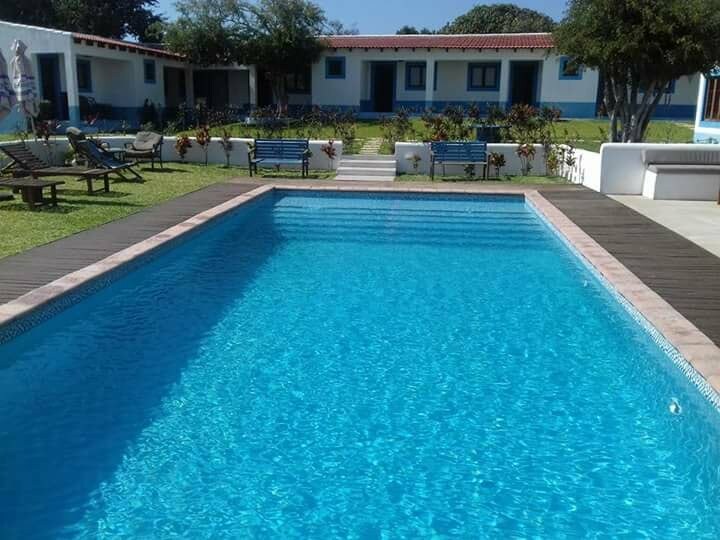 We have a range of accommodation options ranging from intimate options for couples, or large self-catering homes for larger families, many with spectacular views over the dunes. 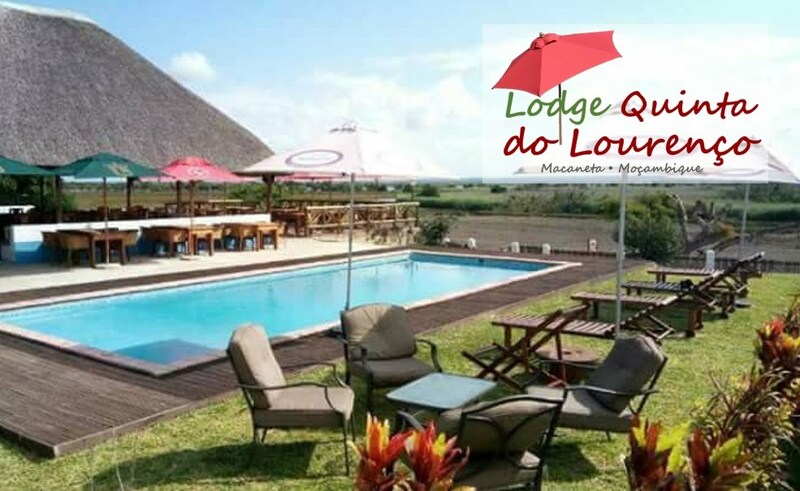 Enjoy the ideal Mozambican Beach holiday with our lodge that offers a little bit for everyone, especially families. We have a trampoline and jungle gym for the kids, quad bike hire is close by for the bigger kids, and we can organise trips to Inhaca Island, or fishing trips for the biggest kids. Now Macaneta is accessible by bridge Macaneta has become an even more attractive destionation. Quinta do Lourenço has become a favourite destination due to its fantastic pool and restaurant serving favourite seafood classics. The Jewel of Macaneta is Lugar do Mar, an intimate lodge where one can enjoy the pristine beach in front, or relax by the pool enjoying a few drinks and the relaxed jazz. Whether you choose our luxury accommodation, or our self-catering chalets, don't miss out on the fantastic meals served in our restaurant. Between the lodge and the warm Indian Ocean is only one sand dune ensuring you are always with a short distance from the ocean breeze, and the soft murmur of the crashing waves. You may end up just spending your time lazing by our pool and enjoying the shade and atmosphere in our lodge that gives you just a little more than you could have hoped for. Tucked into the hillside on the tip of this wild peninsula, wedged between a pristine marine reserve and a game reserve, Machangulo Beach Lodge is a beach adventure in secluded paradise - and only one hour from Maputo. With the wild ocean in front of you full of passing whales, dolphins, and unimaginable fishing, there is also the calm of the bay just metres around the peninsula's point. Just across on the southern tip of Inhaca Island is southern Africa's best snorkelling on a fabulous little reef. Machangulo Beach lodge's striking main building includes a large inviting lounge with bar area and large dining area. Hidden behind the main building is the Boma area where evenings are spent beside the fire while enjoying the tranquil Mozambican nights, discussing the day's catch and strategizing about tomorrow's big one. Situated near the beach is our Beach Bar where the vibrant atmosphere is kept alive from dawn to way past dusk! A pool and deck are situated by the Beach Bar for you to cool down before an afternoon siesta. With direct beach access, we offer ideal accommodation for those wanting to get closer to Ponta's dolphins. Each room is en-suite with sea view and inspired by our dolphins. Upstairs there is a central kitchen where Tina, our in-house chef prepares lunches and dinners (on request), and a dining and educational area that looks overlooks the ocean. In the rare event of rainy days you be well-entertained with a collection of eye-opening movies, as well as information by ways of our growing library. Conveniently located in Matola/Machava, more precisely in Liberdade, Hotel Al-Khalil Machava offers incredible value for money. Rooms from just 2.000mtn that are spacious and clean, in a centre that offers plenty of parking, (even for trailers and/or boats) banking, and a restaurant. Hotel Al-Khalil is the smart choice for people looking for economical but clean and comfortable accommodation in Matola.